During major international sporting events, the popularity of the sport in question increases as well as its practice among the general population. The soccer World Cup is no exception. But this increased sports practise also leads to more injuries. 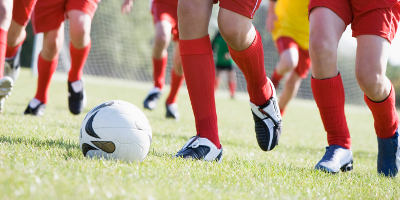 McGill professor Isabelle Gagnon and colleagues have recently shown that the number of teenagers in the Montreal area who were admitted to the emergency room because of injuries caused during an improvised soccer game had experienced peaks during World Cups organized between 1999 and 2014. Dr Gagnon's research program focuses on how children and adolescents function after traumatic injury as well as on how rehabilitation services can contribute to achieving the best outcomes possible. She has developed an innovative rehabilitation approach with children who are slow to recover after a concussion or mild traumatic brain injury.